Where to go when you need medical attention, quickly, for an injury or illness that's not life-threatening? MediQuick. We're quick, convenient and, with locations in Meriden and Cheshire, close by. No appointment necessary. Don't let a sports injury, earache, stuffy nose, cut, burn or other minor ailment ruin your day. Your total time at MediQuick should not exceed 45 minutes. Many patients are out in less than 20 minutes. We handled more than 31,300 medical visits in 2015 - an average of 86 every day of the year -- for everything from a sore throat or rash to X-rays and laboratory services or broken bones treated by an orthopedic surgeon through our affiliation with MidState Medical Center. You're not going to find that breadth of service at every urgent care center. That's why we received a Certified Urgent Care designation from the Urgent Care Association of America, which distinguishes MediQuick as a true Urgent Care center. 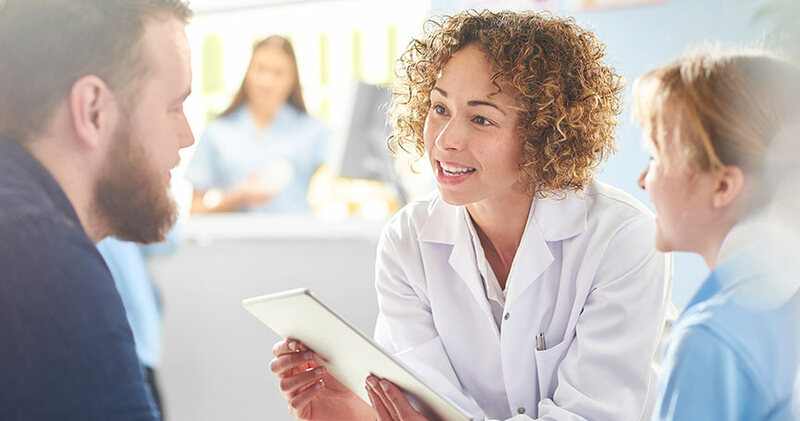 If you're already a Hartford HealthCare patient, MediQuick's medical staff will find your health history instantly in Epic, our electronic records software with embedded clinical intelligence that ensures clinical decisions will be based on the most current information. As always, retain your insurance card wherever you go. In a recent patient-satisfaction survey by Press Ganey, MediQuick scored in the 97th percentile nationally, 99th percentile regionally and 96th percentile for hospital-owned urgent care facilities - always registering at least in the 89th percentile in every category. Patients like MediQuick for more than high-quality medical attention, on-site X-ray capabilities and fast in-and-out times: A visit to urgent care often costs substantially less than a visit to an emergency room.